In our five years of travel, our longest stop has been for six months. 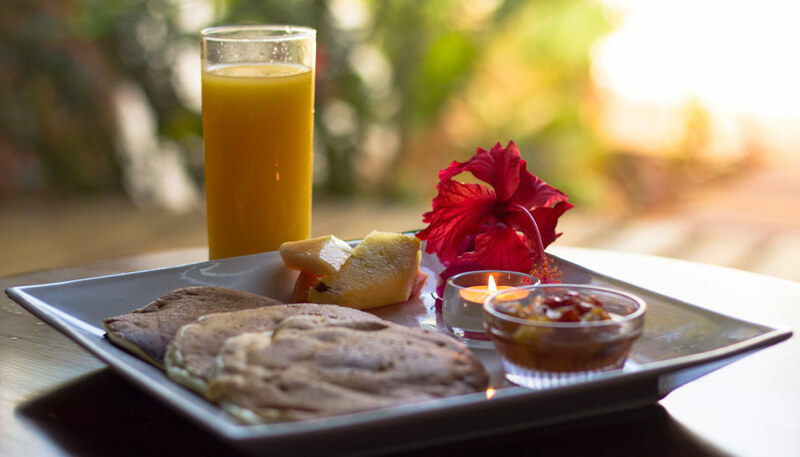 Way back in 2010, we accepted an extended house-sitting job on the island of Roatan, Honduras. It was lovely (mostly). It was a nice rest after our year around South America and quick visit home. It was where we launched this blog and where I healed a torn achilles tendon. We made some fantastic friends, enjoyed many days beach bummin’, and really tasted tropical living (which was a lifelong dream for these cold-weather birds). But after just a couple of months, a familiar feeling crept in. Our feet inched towards the door, our fingertips led us to new dreamy places with a few clicks online. We needed to be on the move again. And since then, we haven’t settled down for longer than three months. It’s not entirely because we haven’t wanted to. The road can make us quite weary, like it does for anyone. We don’t like to have stays in one place for any less than a week because just the thought of packing up and moving constantly tires us so. We’ve repeatedly tossed around the idea of finding a longer-term “base” – a place to ever-so-slightly-settle when we need it to regain our travel energy. 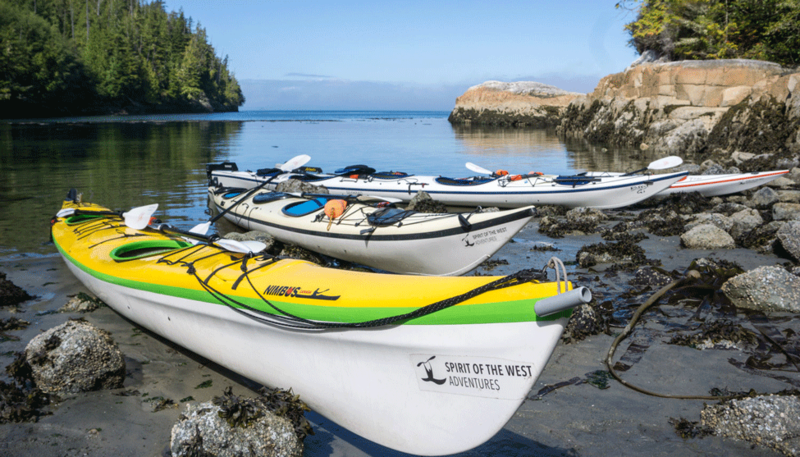 A place to swap out wardrobes and equipment before heading out on our next adventure. The problem is, we have never been able to commit. There have been plenty of places that we’ve loved, and could see ourselves staying in for an extended period of time, but just can never seem to bring ourselves to take that next step. But then we got to Romania, and one city quickly jumped to the top of our list of places to be considered. We’ve repeatedly tossed around the idea of finding a longer-term “base” – a place to ever-so-slightly-settle when we need it to regain our travel energy. Whether we knew it or not, all throughout our travels, we’ve been developing a checklist of preferences. While living on a tropical island appeared as a lifelong dream, we realized on Roatan that it wasn’t for us, with bugs and insufferable humidity being the major deterrents. We have learned that we prefer the countryside to big cities, mountains to deserts, and so on. I’m sure that we never would have figured out the contents of this checklist without first leaving home and trying them all on, to directly test which environments fit well or which rubbed us the wrong way. The intentional use of this checklist isn’t even quite clear. It’s not to find a new “home” (we have long since determined that for us, home is not a place), but just a comfortable location for us to return to. A place to unpack when fatigue forces travel to briefly lose its appeal. And Brasov ticks off a lot of boxes. — It’s a small(ish) city that is well connected. It’s not exactly tranquil countryside, but really close to that, and with all of the amenities we would need. Brasov ticks off a lot of boxes. — Being in the Carpathian Mountains, the temperatures never get too hot or humid (perfect for this wimpy Canadian), with lots of outdoor adventures to be had in the area. Pete is especially fond of Brasov for the numerous running trails. — It’s very inexpensive, without sacrificing quality. A nice apartment can be let for just a few hundred dollars a month. — A long-term visa is fairly easy to get – we’ve talked to two different people who have done it two different ways and we could make either of those work for us. — Umm, it’s really pretty. An inspiring place to work. — It’s extremely safe. There are scamming taxi drivers to be wary of, but besides that, Romania has one of the lowest crime rates in all of Europe, and Brasov in all of Romania. — Nearly everyone speaks at least some English, but learning Romanian wouldn’t be too far of a stretch for us either. Being Latin-based, we found ourselves picking up words and phrases easily thanks to our knowledge of Spanish. — Damn, but the food is delicious too. We never unexpected to enjoy Romanian food so much, but we found lots to love about the local cuisine. Sarmale is just like my Ukranian Grandma’s cabbage rolls and these might have been even a little bit better (don’t tell her). It just felt comfortable and temperate and good. We extended our stay from one week to ten days, scouted out apartment rentals, and even made a few local friends. While we have loose plans that see us through to the end of this year, 2015 may be the year we sprout a few roots. If anyplace could make this happen, Brasov could. We spent all ten days in this cozy apartment right in the heart of the historic center. Long-term it’s not a great place as the kitchen is too small and it is without laundry, but for our short stay, it was near-perfect. 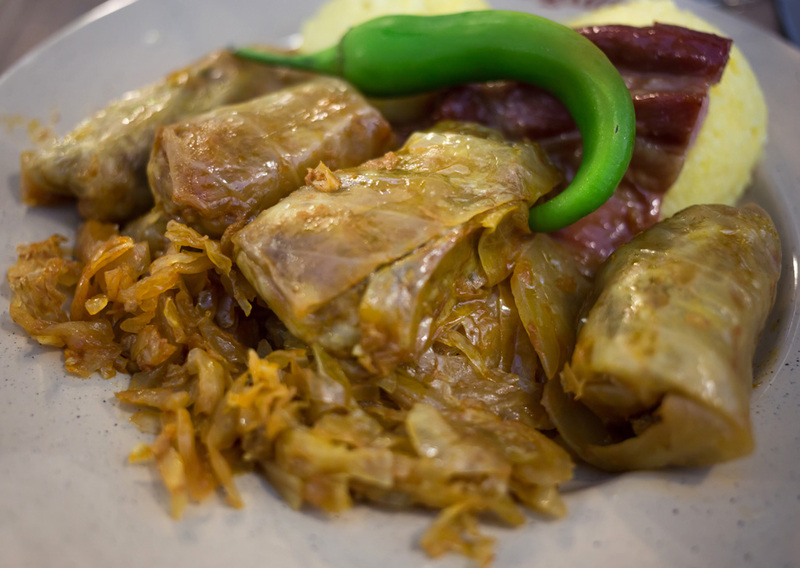 Those delicious sarmale pictured above, along with other fantastic Romanian cuisine, could be found at Sergiana, a short walk from our apartment on the edge of the center. It might just have the best Romanian food we had in the entire country. I love when travel leads us to places that we never considered that we could one day call home. 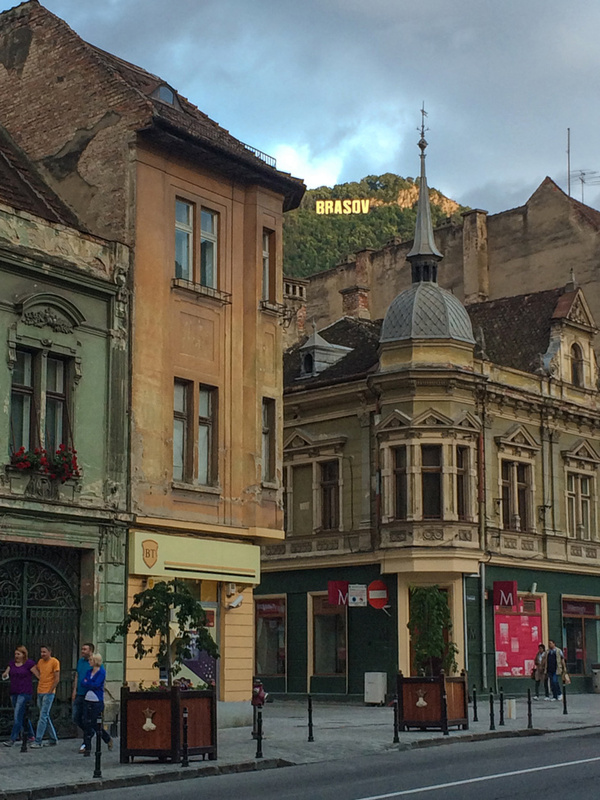 Great pictures, and I love the Brasov sign in the hills – kind of reminds me of the Hollywood sign. We stayed in that apartment during our first visit to Brasov. Great location! I really miss Brasov. I think our next visit we’ll spend a bit more time in Bucharest just to be closer to some train routes and an int’l airport, but Brasov definitely still owns a piece of my heart. That’s crazy that we were in the same apartment! Loved that cozy bed and Jakab was so nice! I feel ya on the Roatan climate… it’s starting to grate on me after two years too. There’s only so much insane melting heat or endless rain a Canadian girl can take! This looks like a really lovely place. I agree, while they are few and far between, some places just make you go, “I could live here.” The great thing about it being so cheap and well located is you could travel from there while still maintaining a base. Love the Hollywood-esque sign. Yep, and yep. It might just be the perfect European base. I never expected Romania to be a place I could see myself living, but I felt the same way when I visited Brasov! Who knows, perhaps I’ll get a chance to spend some extended time there. At the very least, I’d love to rent a car and drive around Transylvania’s beautiful small towns for a few weeks. Yes, we would love to do more of that too! We did just a wee bit of other exploration, and there is so much to see. Wow it must have blown you away to move to the top of the list! Romania is one of the places that I never ended up visiting when I lived in Europe but I have always wanted to. We really just “sunk into it” there. The perfect little mountain city! It’s so nice when you’ve been traveling as long as you have been and find a place that you like enough that you could consider calling it home. I found that the longer we traveled, the more we started to view places through a similar “could we live here?” lens, and like you, we’ve found places we liked well enough for 3-month stints, but I don’t know that we have found our perfect “forever home” just yet. I’ve not been to Romania (yet), but Brasov really does look beautiful (and this is coming from someone who considers herself a big city girl!). And Bucharest wouldn’t be too far to satisfy your big(ger) city requirements! We are currently traveling through Europe at a furious pace (stupid Schengen!) trying to pack way too much in 3 months. We’re leaving the Schengen Area for Romania in 3 weeks and were looking for a city there to settle down for a week or so but aren’t quite sure where. Well, thanks to you, Brasov just took the lead spot. Thank you for introducing us to this fabulous looking city that we may now likewise call home for a week. 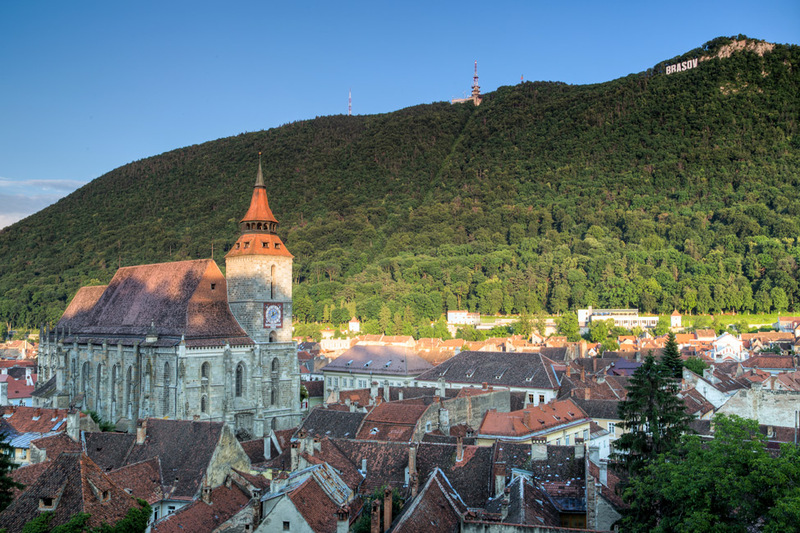 We are developing a similar checklist of travel preferences as you, so I trust we may love Brasov too! Will check back in and let you know how it goes. Thanks again for the travel inspiration! We agree 100% with the stupidity of Schengen. 🙂 So glad you are heading to Brasov! Please let us know how you like it…. Just wanted to check back in… We finally made it to Brasov to pause our travels for a week and play “catch-up.” I couldn’t agree more with your assessment and thank you so much for the great recommendation! We even looked into the exact Airbnb you rented, lol. It wasn’t available but we found another apt that worked well for us. Brasov has really been great. The weather has been fantastic and there was even an awesome Oktoberfest in town last weekend (bonus points for us). Thanks again for the steering us here. This is what we love to read! Thanks for coming back John! Well, remember nothing has to be forever…including “home”…only long enough for you to want to be there. So far your max limit has been 3 months, so keep going with that, until you find a place in the world or time in your lives when 3 months isn’t enough. The beauty of our lifestyles is that we can change and mould them however, whenever, and wherever we want! That Hollywood Sign seems so out of place with the architecture. So ironic and put a smile on my face. I learnt all about Brasov through Talon of 1dad1kid. This post feels so surreal to re-read all the delights that he had posted through his journey this this quaint town. Now you have me very curious as well. It’s time to seek out those cabbage rolls 🙂 Love the photos. Hi Dalene. Nice post, a place we’ve never considered. Somebody else above mentioned Schengen – we’re still in our first month here in the Czech Republic and haven’t decided where we’ll go when they kick us out. Croatia and Montenegro both options I’m looking into, like you we enjoy the smaller towns…but wouldn’t mind being close to the sea after being land-locked here in Prague. You mention cheap apartments in Brasov. I clicked on your airbnb link and the weekly charge comes to $270/week – which is pretty pricey (we’re paying $500/month in Prague). Am I missing something? Other than that all we require is consistent wifi and good food with some vegie options. And I’m with Pete – love trails with views! And I forgot to mention that the wifi in Romania is LIGHTENING fast, like the fastest we’ve ever had (except for maybe in Colombia). Hello! I am romanian and together with my american husband and one child ,will move soon to Brasov. You can find appt.to rent from 200 to 500€ PER MONTH..or more if tou like soace and luxury. We are looking for something in range 300€ per month right now. Try imobiliare.ro or chiriibrasov.ro…or simply in romanian APARTAMENTE DE INCHIRIAT..you will find alot and good prices. Good luck and enjoy Brasov. It looks so beautiful there! Your stories really make me think about house sitting when I’m away. It seems like a lot of travel bloggers do it. Couldn’t agree more. It’s totally a Goldilocks town (not too big, not too small, not too touristy, not too hidden, not too urban, not too country). Loved the views out to countryside from Mount Tampa. I just LOVE ROMANIA! Always have. And in 2009 finally got to take a trip there. Brasov was one of my very favorite places. I dream of retiring in Romania, but most likely will only remain a dream. 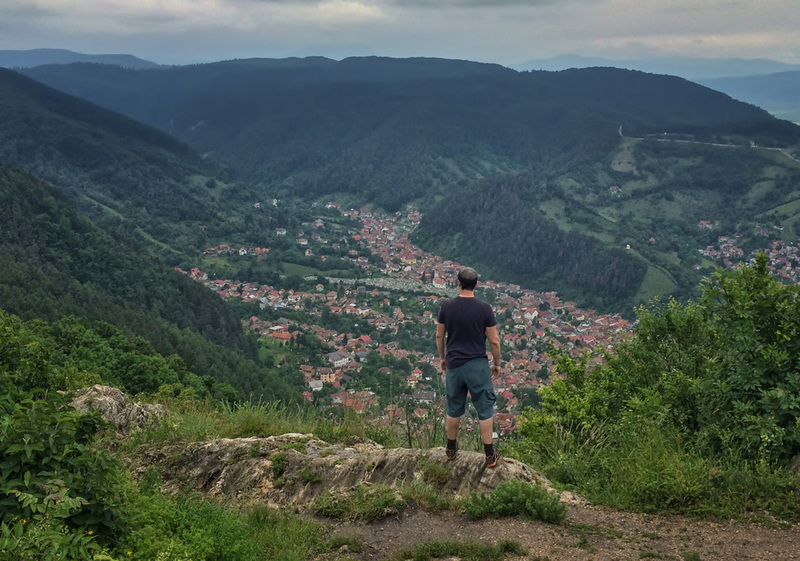 We loved our time in Romania last fall and we especially loved Brasov. If we could park for a year in Central/Eastern Europe it would be there or Wroclaw, Poland. Thanks for the trip down memory lane! Jen recently posted..One splurge per continent: Koh Tao, Thailand. Going on my list!! Seems to have everything I would want as well. Brasov sounds and looks wonderful! I’m glad you’ve found a place you could see yourself maybe staying in longer some day! It’s amazing when you find a place like that. 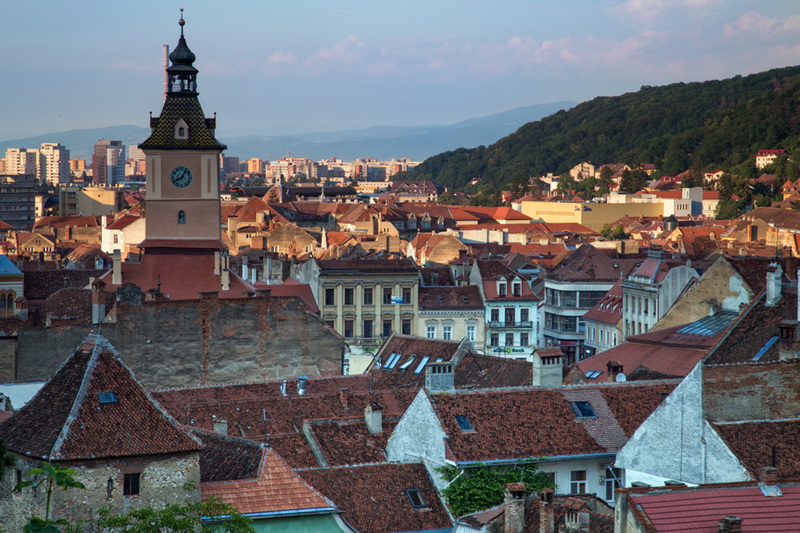 Brasov sounds like such an easy city to be in, and look at the landscapes! The red-roofed homes look so picture-perfect! Beautiful. I was in Brasov in 1994. It looks so different–makes me want to go back. Hi! I am so interested in Romania. More so after your post! I’m also interested to hear that you found people who were able to obtain long-term visas there, in several different ways. Do you mind sharing more info or a link or anything? ? Hi James, I’ve never been able to find an article that directly speaks to this. But check out WanderingEarl.com – he wrote a lot about trying to live there (he had major problems) and may offer more info. Hi there! I’m sorry, but we didn’t dig into those sorts of factors at all. Brasov is my next stop, and I’m thinking of staying still there for 2 to 3 weeks. 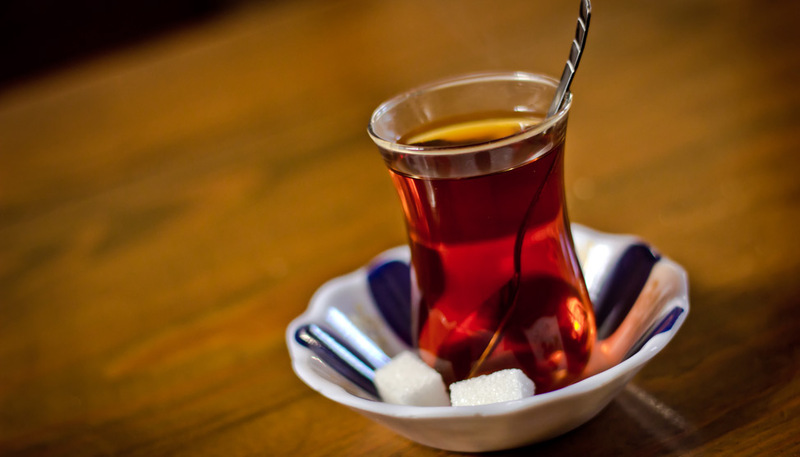 Time for a break, hopefully socialise with people instead of being alone all the time – and plan to get some work done! Not to mention see the city and day trips to nearby places. This post has made me excited to get there! Mr Adam recently posted..My Fave Souvenir – Bolt Cutters from Vietnam! Hi, did you go yet? If not, take it from me and go! It is an awesome place. I hope you enjoy/enjoyed it as much as we did. Love it. Awesome. I’ve visited Romania twice and I could see myself living in Brasov or Sibiu. Not sure about the winters though! I am from the midwest so I think I’d be used to it. I’d give it a go!